When I saw the mix tape special pack for 128MB USB memory stick, my heart just melted. Remember the days when we used to make mix tapes for each other? This is the best gift ever! It shows care, thought and romance and nowadays it is easier then ever to make. 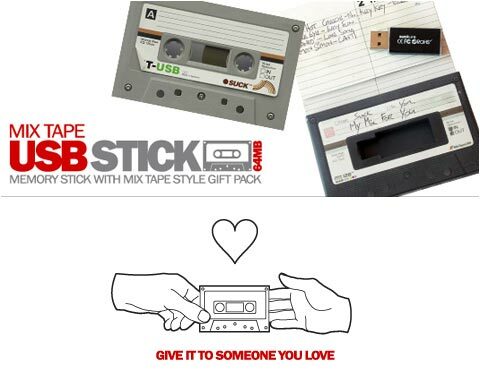 All you have to do is add what you what to the USB stick, place it inside the tape style gift pack, write the play list and your message and give it to the one you love. 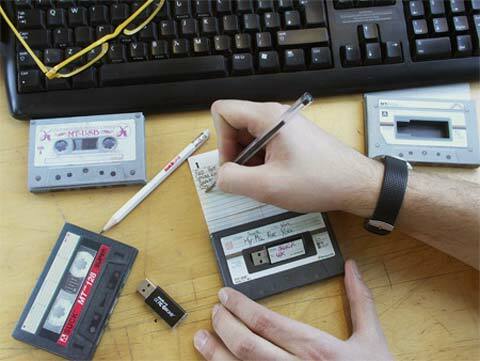 It stores up to two hours of high quality digital music – the same amount as you get on a cassette tape. 128 MB USB Stick compatible with all USB drives. It’s time to mix and match!